The Wotancraft Shadow Warrior is one of the latest additions to the Wotancraft camera bag range, it’s in the daypack style so I guess you'd say it's the cousin of the Wotancraft Commander that I reviewed in August 2015. In the past I've generally had a bag for some time before I've actually taken it anywhere, this was a little different, it literally was a case of throwing a couple of cameras in it and loading it in the truck, we'll just work it out on the road......the road in question being the Pacific Coast Highway headed from Tauranga here in the Bay of Plenty around the East Cape to Gisborne. So, lets take a good hard look at the Wotancraft Shadow Warrior!! The bag ships in Charcoal Black, the W.A.L canvas which is water repellant, abrasion resistant and lightweight is complemented with Black leather straps and what I would describe as pewter coloured metal hardware. The bag has been designed by Albert Yuan who I understand is a relatively new addition to the Wotancraft team. In truth I've always found the Wotancraft bags to be both functional and aesthetically pleasing but in the case of the Shadow Warrior the designer's influence is clear to me. The Shadow Warrior is impressively sleek and the old adage of less is more certainly applies here. It's refreshing and reassuring to know that the quest for excellence is alive and well at Wotancraft HQ! Another note about the W.A.L Canvas in Charcoal, it's nice, I mean really nice!!! It's tough and lightweight, which is a great combination for a camera bag and if you do manage to mark it then it takes on what I'd describe as a faint "stone washed" look in that area, in essence it's appearance is almost enhanced by wear. 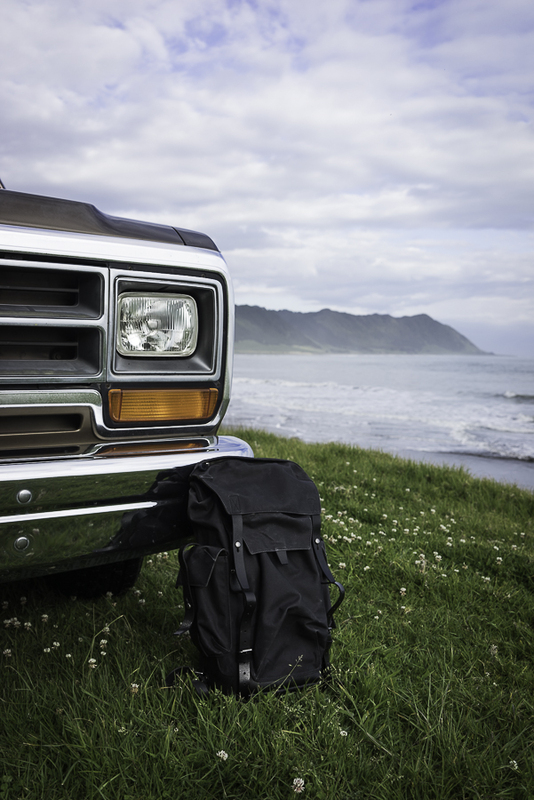 Whenever possible I'd look to photograph a bag before using it, obviously there wasn't time in this instance but it's worth emphasising the point that these photographs were taken after it had been on the road with me, no cleaning. Interestingly, my first impression of the Wotancraft Shadow Warrior was that it was markedly smaller than the Commander. The truth is, it isn't, the volumes aren't too dissimilar although the Commander does have a slightly larger volume (including pockets). I guess thats more evidence of great design. The other huge plus with the Wotancraft Shadow Warrior is weight, down to 1.4kg and yet another example of "less is more". "If it ain't broke don't fix it" Another feature shared with the Commander is the cowhide leather bottom to the bag, not only does it look great but it gives superb protection to what is arguably the most vulnerable part of the bag. This is complimented internally with a removable "high density foam padding" , protection for the inside as well as the out. If you've had the privilege of seeing a Wotancraft bag up close then you'll fully understand my next statement. It can be difficult to articulate the quality and craftsmanship in these bags, the leatherwork, the stitching, the attention to detail, it's all absolutely impeccable. I'm not joking when I say this, I defy you to look over one of their bags and not raise a smile, I for one can't do it. The large front pocket utilises a snap fastener, but for those who either forget to fasten it or as in my case, can't be bothered there is some additional peace of mind by way of the elasticated top. There was a bit of a "hack" on the Commander whereby you could potentially utilise the large pocket as an ad-hoc way of securing a tripod in a vertical position, the same is true of the Shadow Warrior and to some extent that's made easier by the larger pocket. The side pockets are accessed via a stylish metal stud and are ideal for water bottles or flasks. 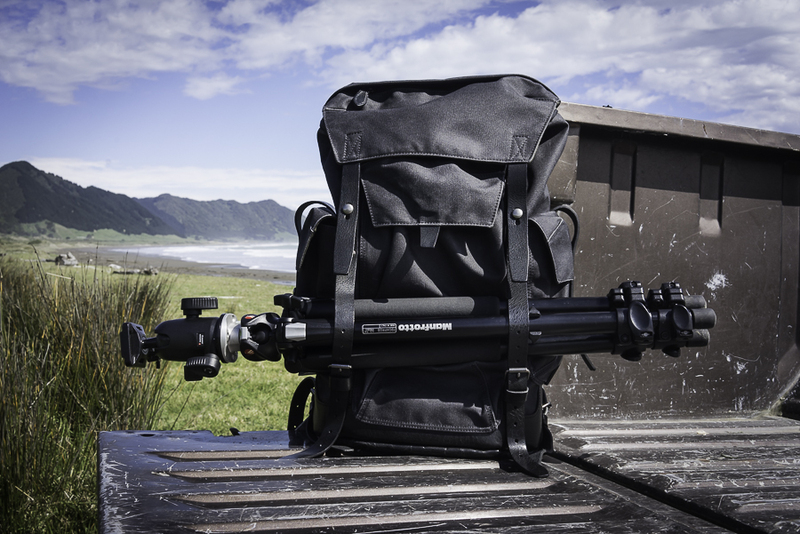 A pair of adjustable cowhide leather straps can be utilised to hold a small lightweight tripod or a jacket amongst other things. There is plenty of adjustment in the straps meaning that even if the large pocket is full you should still be able to adequate secure your item with relative ease. On the rear of the bag a full length zip allows easy access to the interior. I don't know about you, but if I'm carrying something on my back for any length of time it's going to ache pretty quickly if it's not adequately protected. Here, a broad leather band protects your spine, that in turn is flanked by padded bands which cushion and protect the muscles in your back. I think the key to comfort is being sensible with what you put in the bag, ultimately its not a "magic" bag and if you over fill it with weight you'll inevitably feel it. The leather straps anchor securely to this steel ring, it's simple, well engineered craftsmanship. In terms of strap adjustment I'm of average build and there was maybe 15cm or 6" of adjustment left in the straps so plenty for most people. There's a handy zipper compartment in the top flap of the bag. It's not secure but the zip is tucked away under a flap in the W.A.L canvas, opening the zip can't be done without a little tug on the bag and it makes enough noise to alert you. Only the stealthiest of Ninjas would even consider it!! One thing that's always a given with a Wotancraft bag is the quality, I reached a point several years ago whereby you can relax and just take it for granted that when the Fedex guy arrives and you open the package you'll be blown away. I'm pleased to report that the Wotancraft Shadow Warrior has been no exception to this, it's a great product, impeccably crafted. Something else that always appeals to me is knowing that you’ve got something pretty unique, I'm yet to bump in to anyone in New Zealand with the same bags as me!! The Wotancraft Shadow Warrior retails at US$430 with Free International Shipping included. I aways reiterate that these bags are so well made that if cared for correctly you'll get many years of use and enjoyment out of them. Opening up the top flap reveals the zip's to the inner compartment. The Wotancraft Shadow Warrior is essentially a single compartment bag internally, there are two inner pockets within the cotton lining, these are aprox 23cm deep and 14cm wide. As you'll see I'm utilising the Small Waterproof Camera Insert Note: This is not included as standard and can be purchased separately from Wotancraft - HERE. One of the key features of the Wotancraft Shadow Warrior is flexibility, if I'm going to use it for photography it makes sense to me to purchase the waterproof insert, if I'm using it solely as a daypack while tramping or even for my daily commute to work then I'd simply remove the insert and make extra space. Above - The Waterproof Insert can be easily removed. The Zip-lock wallet, great for storing memory cards, batteries etc. Above - "T" divider in place, creating three separate spaces within the Waterproof Insert. Having already had the benefit of the Wotancraft Commander experience I already had an understanding of how best to utilise the Wotancraft Shadow Warrior. For me the real benefit of these bags is not to fill them with gear but instead treat them as daypacks. 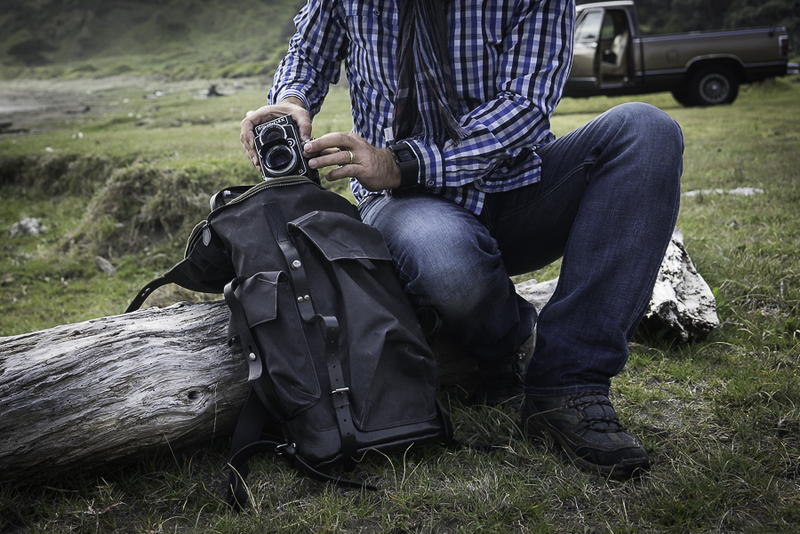 A camera and a couple of lenses in the Waterproof Insert, leaving more than enough space for provisions, waterproofs etc in the bottom that the bag making it perfect for long days out in remote locations. 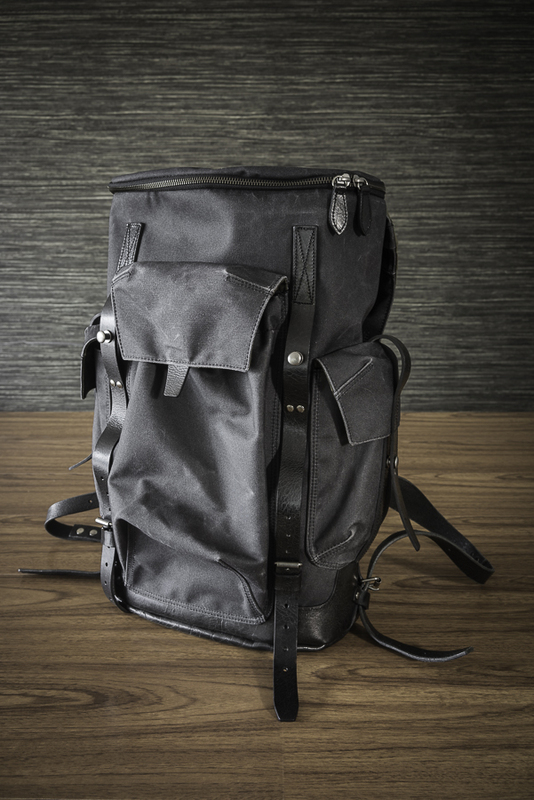 Over the shoulder bags are great for most things but once you start to be a bit more adventurous in terms of your physical actions and environment they can soon become troublesome, the Shadow Warrior backpack solved that issue and left me with two free hands all of the time. The Shadow Warrior can also accommodate your laptop although there is no specific compartment for it. My 13" Macbook Pro in it's Incipio case fit's in with an abundance of space to spare. 15" Macbook also no problem. 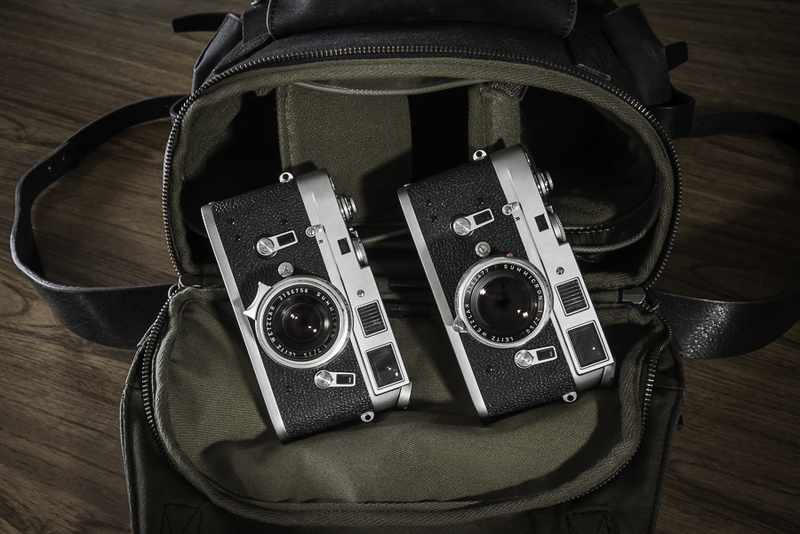 Leica MP and M7, the Waterproof and Shockproof insert is a great way to keep your favourite toys safe. The Pro DSLR configuration below - Courtesy of Wotancraft. I've also added a couple of additional configurations that utilise the top compartment only. Clearly there is more room in the bag, these are workable configurations that avoid the need to stack and diminish usability. Pacific Coast Highway to the East Cape - "Field Test"
So, another little excursion to one of my favourite parts of the North Island, hand on heart, if you ever get an opportunity to drive this stretch of road then grab it with both hands!! Such an amazing place, friendly people, remote and often deserted beaches the only negative is the driving of the locals.......there is no such thing as a centre line in the East Cape. You've got to love the great outdoors!! I carried around 3-4kg in the bag for several consecutive days and had no issues with rubbing on my shoulders, again it's really down to sensible use. So, if it was the Wotancraft Commander that convinced me of the merits of backpacks then it's the Shadow Warrior that has really cemented that viewpoint. There are some obvious similarities in function between the Commander and the Shadow Warrior, choosing between them will be very much a case of personal taste and how you ultimately intend on using the backpack. Another important consideration is how it feels on your back, this is clearly difficult to judge if you haven't got the opportunity to physically test it out. What I can tell you is that I found the Shadow Warrior to be more comfortable on me, being narrower and taller it actually felt a little more balanced on my back. My chest measurement is 42" or 107cm, with fairly broad shoulders and I have to say it feels like this Shadow Warrior was made specifically for me it's so comfortable. 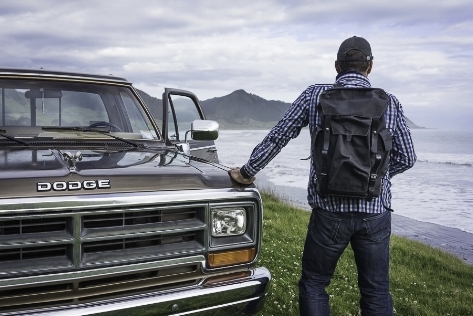 I have grown to appreciate these backpacks, there are certainly plenty of situations where not having a bag hanging over your shoulder and having both hands free is very beneficial. That said I'd never see myself as a backpack only kind of guy, I like having the choice and the Wotancraft Shadow Warrior compliments my day to day bag the Wotancraft Ryker perfectly and gives me the very best of both worlds. As always I'm happy to answer questions and try out gear configurations for fit (If I have it).